Now you can hunt those damned Jedi with a mock-lightsaber in your hand. 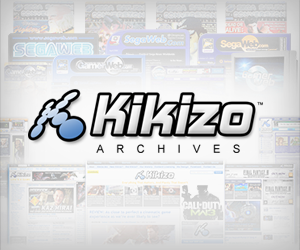 When Kikizo recently sat down with LucasArts to talk about the Wii version of Lego Star Wars: The Complete Saga, the company was open about its eagerness to bring more lightsaber action to the console. 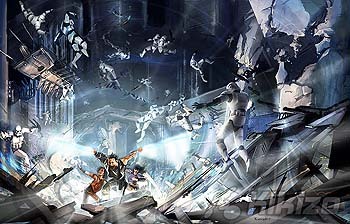 That's now been confirmed along with news of an exclusive mode added to the Wii version of Star Wars: The Force Unleashed. The Force Unleashed is no trifling side-story. The game is set in the years between Star Wars Episode III: Revenge of the Sith and Star Wars Episode IV: A New Hope. You'll play as a willing assistant to Darth Vader in his campaign to wipe the Jedi from the galaxy. You'll be able to play the game using the Wii remote as a lightsaber and the nunchuck attachment for Force powers. The Wii version of the game, being developed by Legend of Spyro and Ty: The Tasmanian Tiger developer Krome Studios and due next spring, also let you play a new Duel mode to go head-to-head against other players. You can find out more about Star Wars: The Force Unleashed in our recent interview with the team.